The Washington Post recently came out with poll results stating that “48% of adults approved of the decision not to indict the police officer who shot and killed an unarmed black teenager.” The poll referred to the fatal shooting of Michael Brown, an 18-year-old unarmed black male who was murdered on August 8th, 2014 in Ferguson, Missouri, a suburb of St. Louis. Brown was shot by 28-year-old police officer Darren Wilson, who was announced as not indicted by a St. Louis County grand jury on November 24, 2014. The Ferguson jury decision caused much uproar across the country, including in the BSGE community (both student body and alumni). The Bacc Rag collected photos and videos of some of the ways members of the BSGE family spoke out against the Ferguson decision. Stephanie Pichardo ’16, a current junior in BSGE, responded to the news in her recent illustration. 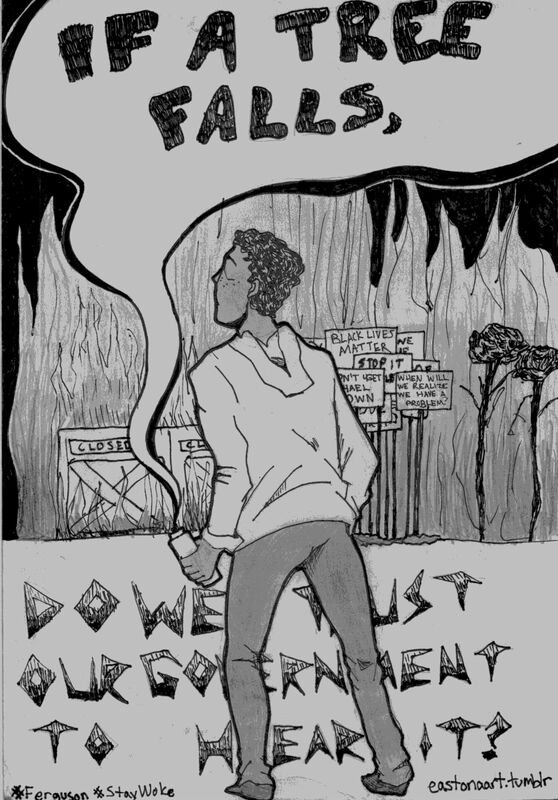 Pichardo showcased her opinion on the Ferguson decision through the drawing below, which she posted on multiple social media outlets. 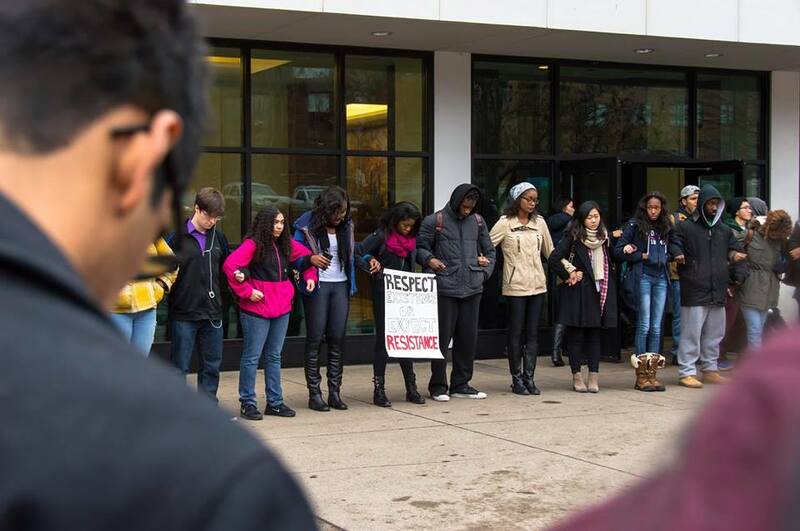 Bradley Stewart ’15, a BSGE senior, participated in the massive protest on November 25 in reaction to the Ferguson grand jury decision. The protest spread across New York City, which Stewart was able to capture in his Instagram videos. 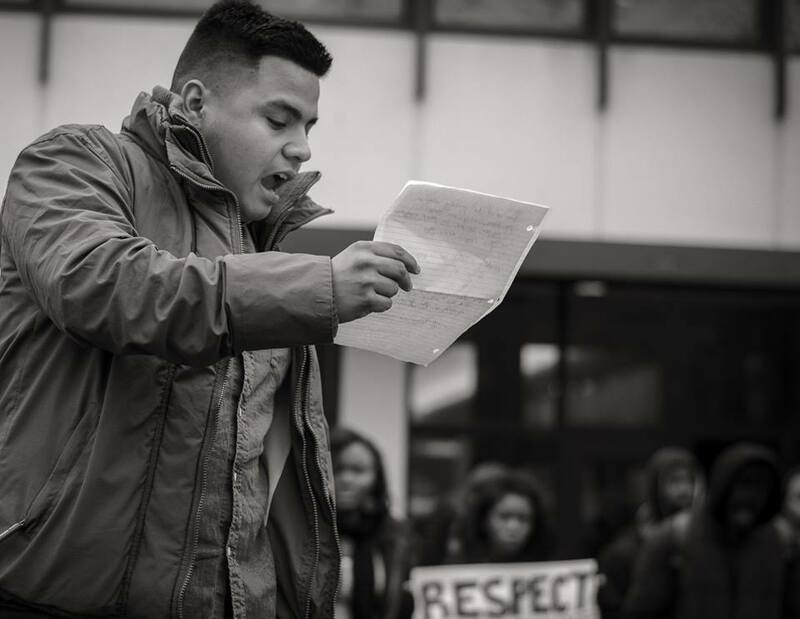 Lenny Herrera ’12, a BSGE alumni, used the power of words in a protest at his current school, Binghamton University. Herrera helped organize a “Walk-Out,” which various organizations and community members participated in. Another BSGE alumni, Karina Hurtado ’06, who was a member of BSGE’s very first graduating class, helped organize and produce promotional videos for the Ferguson protests in NYC. As executive producer of the Youth Channel at the Manhattan Neighborhood Network’s El Barrio Firehouse Community Media Center, she helps younger producers get more involved in producing media on the Ferguson decision and other social justice issues. Below is a promotional video from the Youth Channel.